It is with deep regret that we announce the passing away of Eric Archer. Eric, who along with Leslie Doyle, Donal O’Sullivan and Billy Dennehy founded the club at an inaugural meeting on October 15th 1937 in The Carnegie Library in Greystones. There were 25 present at the meeting. Eric was a witty and articulate man and always a huge club supporter in all of those remarkable 80 years. He will be missed by not only Greystones Rugby Club but the wider rugby community in Ireland. It got to him, no problem. 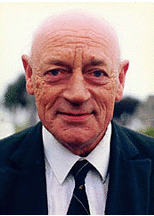 He was a Life Member of both Greystones and Rathdrum rugby clubs. The President and Executive of Greystones RFC and the membership wish to pass on our sincere condolences to his family. Reposing at Colliers Funeral Home, Old Connaught Avenue, Bray on Friday evening, 30th June, from 5.00pm to 7.00pm. Funeral Service on Saturday morning, 1st July, at 11.00am in St. Patrick’s Church, Church Road, Greystones followed by burial in Redford Cemetery, The Grove, Greystones. Family flowers only, please. Donations, if desired, to RNLI or ISPCA can be made at the funeral home or church.